I wrote earlier this week about the seemingly rampant disease we have these days of being so busy. There are some serious costs to always being busy, not the least of which is missing out on living an intentional life according to our values and goals. I firmly believe that focusing on the essentials, as Greg McKeown tells us in his brilliant book Essentialism, is key to living a meaningful life and meeting goals. Taking quiet time to sit down and set our values and goals, and then organizing and simplifying our schedule, habits and our environments to support those values and goals will help us get and stay on track to a highly productive yet less busy life. The point of being less busy and living simply isn't to do less or be less ambitious. It's to make your unique life more effective and enjoyable, and allow you better flow and focus so that you can actually achieve more - but more of what's truly important to you. Simplifying your weekly schedule, building consistent habits and organizing your environments will enable you to live an outstanding life and accomplish more than you ever did when you were so crazily busy. The first step to organizing your week is goal-setting. Keep a personal notebook for journaling about your intentional life. In it, you'll want to write down your values and dreams, what you'd like your life to look like, and the goals you'll need to reach to get there. I like to have a 5-year plan and then narrow it down to yearly and monthly goals. I commit to 'must-do's' at the beginning of each year, and 'extras' that I'd like to get to but that are not essentials. And I check in at the half-year mark to see how it's going. When these things are written down, I can go back to them and hold myself accountable. Then fill in a weekly planner. Get in the habit of a Sunday ritual (or choose another day that works for you). On this day every week review your values and goals, then use a simple big picture weekly planning sheet to prepare for the essentials for the coming week. I include any yoga or other classes I want to attend, walks with friends, errand time, etc. I also sometimes meal plan on this sheet. And I plan full days or half days for essential work tasks like writing and networking. You'll need to take a serious look at your schedule and find the things that are sucking your time but not contributing to accomplishing your goals (or your family goals). These things may be important (to others? to what society says is normal? ), but they are not essentials. Make sure that you include time in your planner first for the essentials, including adequate sleep, exercise, meal and quiet time in order to maintain the wellness and energy you need to thrive. Then comes everything else that will inch you toward your goals. If you find your week is too full to spend time on essentials, you know you need to cut back on the things that aren't. I post this sheet on my bulletin board where I can see it daily. It's not fancy, but it allows me to use brain energy for planning once a week, and then I don't have to use up more energy and brainpower later on figuring out what to have for dinner or what yoga classes I can make it to. Next, block specific time in an online calendar. I use Google Calandar - it's simple, works well for me and for collaborating on meetings with others, and it's always with me on my phone and laptop. My calendar is critical for blocking time for my essential things and the details of work time - right down to walking breaks and meditation time - plus any specific client meetings, conference calls, social media scheduling, etc. Colour coding on different calendars keeps different committments straight. Then do a little prep work to simplify your environments. Quickly scan what clothes you'll need and what laundry needs to be done so you'll have gym and work clothes ready, and also pull out any clothing and sports equipment, etc. your kids will need this week so they have them at the ready (or get your kids and spouse in on this Sunday ritual and they can do their own organizing and prep!). Check the cupboards and write down what groceries you'll need for this week's meals. Set up a drink station to make morning fixes quick and easy. Organize your kitchen so it's much easier and efficient for cooking and baking through the week. Fill your phone with a playlist for walking so you'll be more inspired to do it. Set up your entryway so it's easy to grab what you need on the way out. Make your bedroom a sleep sanctuary. Finally, build consistent habits by simplifying. Consider having the same thing for breakfast every day (I eat a home-made oatmeal mix of rolled oats, raisins, seeds and cinnamon every morning along with a glass of warm lemon water). Have only two packed lunch options - a favourite and whatever is leftover from dinner the night before. Get up at the same time every day and start your morning with 15 minutes of quiet time in prayer, meditation or reflection and journaling. Get some exercise at the same time every day so that everyone knows that for that half hour you are not available. Make time for a 15 minute phone chat with a family member or friend at the same time each week, and because you both know it's a standing date, you won't end up talking for an hour. Set your phone alarm for a half hour before you want to be asleep, so you'll be able to get ready and hit the pillow on time. During that half hour, turn the dishwasher on (or do the dishes by hand) and put the clean dishes away every morning while your coffee or tea is brewing. Good habits are not only the backbone of a healthy, productive lifestyle, they also save a lot of time and energy. Employing these stategies will help you build a more balanced life that simpler, less rushed, and more intentional. Focus on your essentials this week and be mindful of the difference it makes. 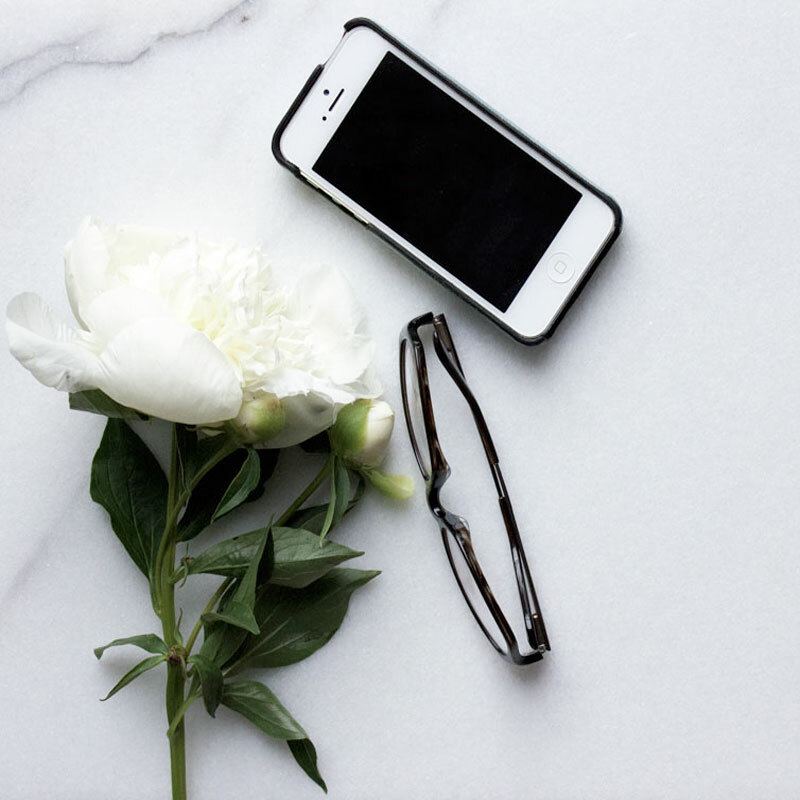 If you want guidance simplifying your spaces and your habits this week, sign up for my free 7-Day Simplicity Course to tackle key areas that will help you begin living an Essentialist life.